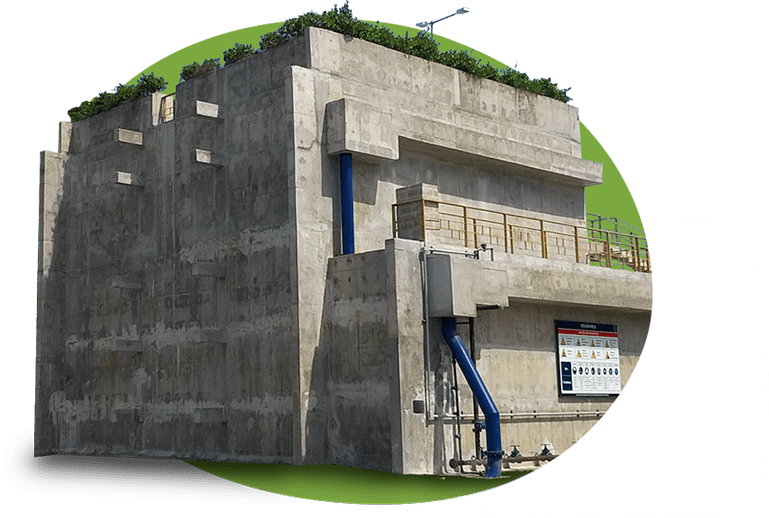 proper operation of the treatment unit, on a “on the job training” basis, until the client can take over the activities with his own team. 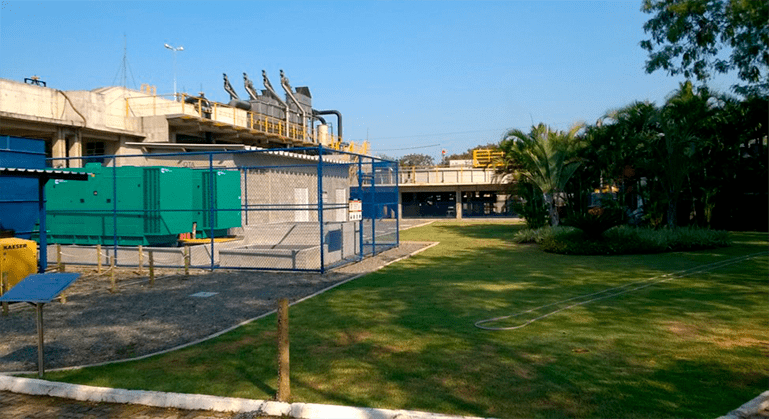 As a final result, the Biobob® technology enabled the duplication of Itaipu WWTP capacity without physical expansions, as well as substantially reducing sludge costs, and increasing operational stability, ensuring the quality of the treated effluent. 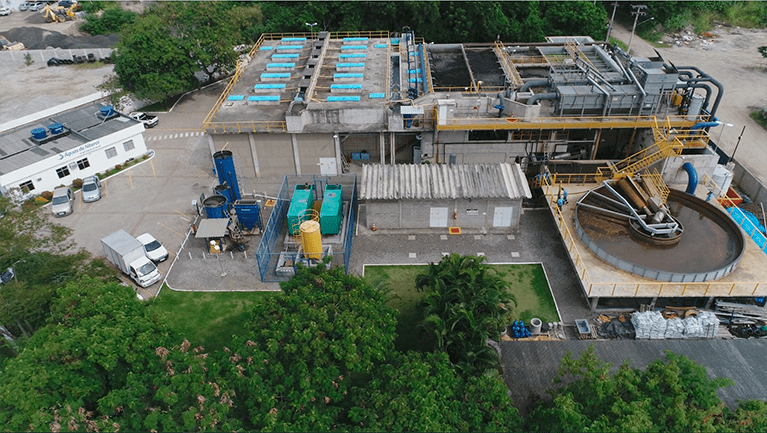 In addition, this suitability enabled the implantation of the first hybrid anaerobic reactor in Brazil. 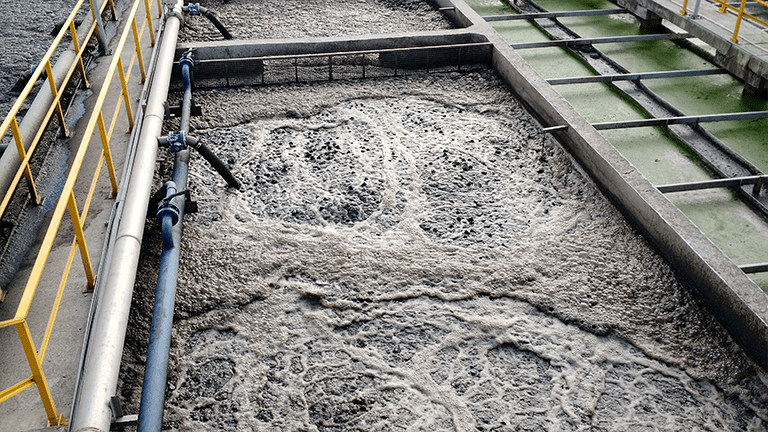 The use of special supports for microbial immobilization (Biobob®) in the UASB reactor allowed the duplication of the flow in the same reaction volume, keeping the desired quality of the parameters of the resulting effluent. 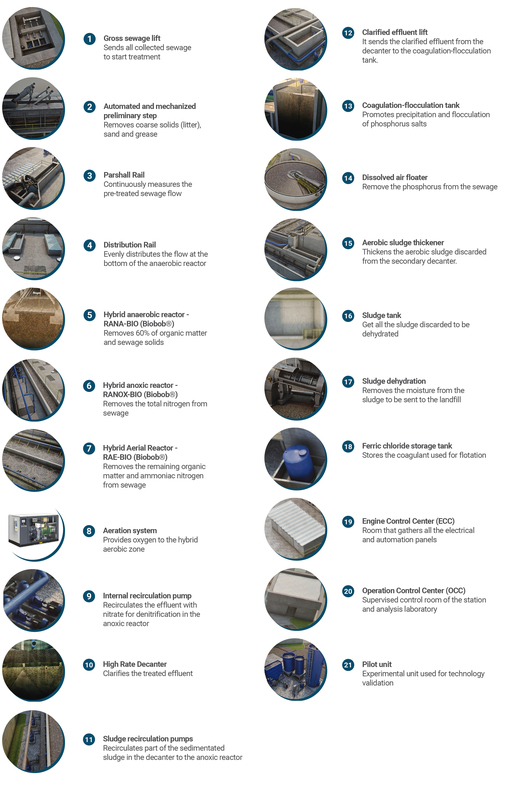 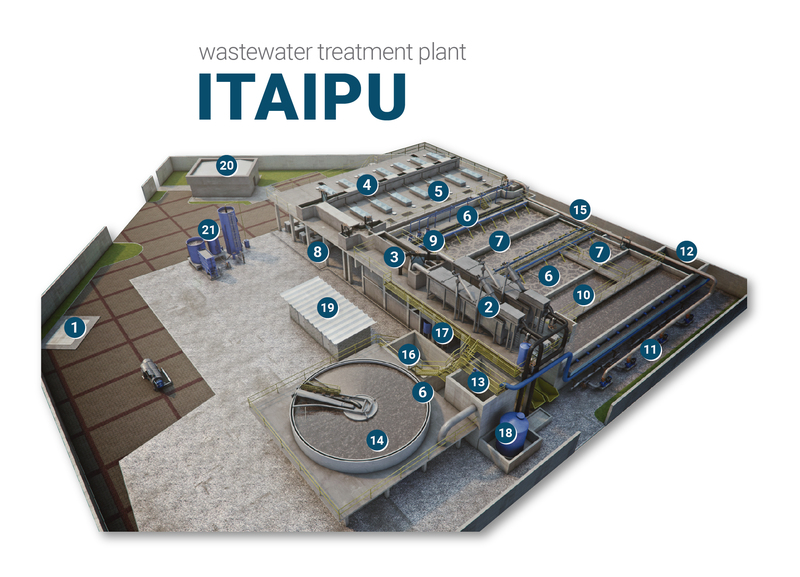 With all these aspects, BIOPROJ was able to meet the client’s expectations and ensured the success of the ITAIPU WWTP, which has been meeting both the desired final quality of the treated effluent and the operational costs of the project since its start in early 2014.